First of all, sorry we haven’t been around for a while but no worries, we are not going anywhere! As a matter of a fact, we have some exciting news. We are now officially Curly Ambassadors for Curls Understood. That means that we will have blog posts and video’s on Curls Understood. Please have a look and check regularly, since there might be different content on there than here. In addition, Whitney will also be posting articles regarding her fashion blog, WhitneyFrom The Blogue. 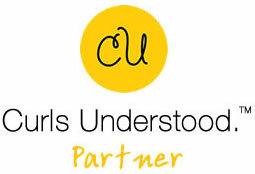 We are very excited and look forward to working with Curls Understood.